GreenWave Solutions will install wallboards to ceilings or to interior walls of buildings and applying plaster where needed to hide nail and screw holes and the joints in between panels. We will smooth out imperfections with trowels and shackle. 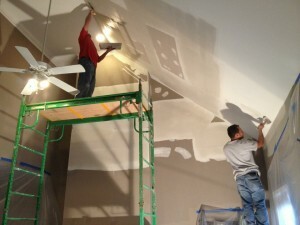 Last, we will apply as many coats of compound needed after panels are mounted to walls or ceiling. Press paper tape into compound and smooth away excess. Cover nail and screw depressions with spackle. Apply second and third coats of compound while making sure to sand after each coat is applied.